It’s not uncommon for people to move out of their apartment every few years. Regardless of whether you are moving to a similar unit in another complex or you are moving into a condo or your own home soon, you understandably should know how to effectively pack your apartment before moving. With helpful tips you can easily reduce the amount of stress you feel towards packing and moving. Before packing any items, you should have a very effective plan that showcases a timeline for the entire packing and moving process. With a helpful plan you’re less likely to feel overwhelmed and can avoid wasting time. The plan should include hiring movers, contacting utility service providers, making arrangements for your pets for the big day and strategizing about how you will clean your unit before you turn the keys over to your landlord or property management company. A relocation plan will help you to stay organized. It will also ensure that no important tasks are overlooked and that you don’t encounter any surprises before moving into your new space. Before packing up your apartment you should get rid of any unnecessary items you have accumulated during your time in your apartment. Rather than spending your valuable time packing these unwanted items into boxes, transporting them to your new space and unpacking them it’s better to simply get rid of them before you start packing. You’ll feel like a weight is lifted off of you once you get rid of all the clutter you have in your apartment. By going through all of your old items, you’ll save yourself a lot of time in the long run. While sorting your items it’s best to go through each room efficiently. You should quickly determine which items are no longer necessary and either throw them out or donate them. The items you’d like to keep and bring to your new space should be placed in a box that you know is going to your new location. After organizing your items and getting rid of any items you don’t feel are valuable anymore you’re almost ready to start packing. However, before packing you should ensure that you have some key supplies to help make the packing process go smoother. It’s helpful to have packing tape, a lot of boxes, scissors and packing paper. By buying these materials ahead of time you can avoid having to stop packing since you realized you’re missing a key supply. With your essential packing supplies available and a clean and organized space, you are ready to start loading your items into boxes. It makes sense to start packing several weeks before your moving date if possible. You should pack each room systematically by starting in the rooms you use less frequently and ending in a room you use every day, such as your bathroom or bedroom. As your moving day approaches, you can progressively load up a few more boxes for each room. Continue slowly adding boxes to the rooms you use less often until only the bare essentials remain. Remember to label your boxes with a marker and state which room each box belongs to. It may help to color-code your boxes as well, such as by using a different color of permanent marker or box tape for easy identification. You may not be able to unpack all of your boxes immediately when you get into your new home so by marking the boxes it’ll be easier to determine what items are in each box and which boxes are more essential than others. 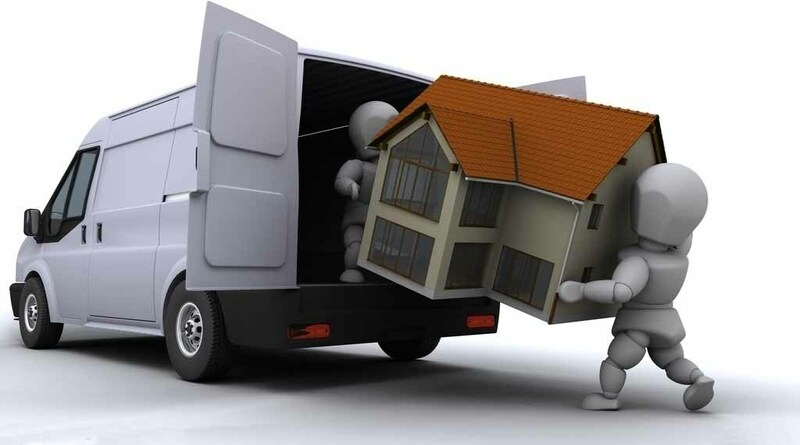 There are several items that you will need the evening before or even the morning of your move. For example, you may still want your coffee pot, bed linens, some clothing and hygiene items until you are ready to actually start loading the moving truck. Identify what these essential items are before packing so you avoid putting them in a box. These are items that you will need as soon as you get into your new home so they should be in a small box or container that you take with you in your car. Keep in mind you need to thoroughly clean your apartment before you return the keys to your landlord. Therefore, keep out all essential cleaning supplies, including the broom, mop and vacuum as well before packing up your apartment. While you could walk out of your unit and never look back after the contents have been loaded into a moving truck, you understandably want to make your apartment inviting and appealing for the next person who moves in. An essential step for making your apartment look welcoming is to thoroughly clean the kitchen. You might notice the kitchen is very filthy and filled with dust after all of its contents are removed. All your kitchen surfaces must be wiped down or even scrubbed. Start by opening up the pantry and cabinet doors as well as the drawers and dusting down the surfaces and cleaning them with soap and water. Then, focus your attention on wiping down the appliances, such as the refrigerator, oven, range and microwave. These appliances should be cleaned with appliance-safe products and should essentially be returned to the condition they were in when you moved in. Your attention should then turn to the countertops and cabinet doors. There are many types of cabinets, such as solid wood, engineered wood and more. Typically, all of these materials may be wiped clean with a damp cloth. Avoid over-saturating them with water so you don’t create water damage. Some cabinets may require a different cleaning process depending on its material. For example, cabinets with inlaid glass should be cleaned with a window cleaner. Shaker cabinets or other cabinetry styles with grooves or detailing may need to be gently scrubbed with a soft bristle brush. Finally, you can move onto your countertops. Choose a safe cleaner or method that is most well-suited for the surface material. Many countertop materials can be cleaned with general household cleansing products, such as an anti-bacterial spray or soap and water. If you have a natural stone countertop, such as granite, wiping the surface down with warm, soapy water and then rinsing with fresh water will effectively clean the surface. Avoid using harsh chemical cleaners on natural stone countertop as you may damage them. If you have been diligent about cleaning your bathroom since you moved in you may need to spend as much time in this room. However, if you have neglected your bathroom. It may take some time and effort to make your bathroom sparkle and look clean again. Start with the toilet. Use an effective cleaner and toilet brush to scrub all residue and grime, and wipe down the exterior of the toilet. The tub or shower area should receive your attention next. You may need to use a special grout cleaner for the bathtub surround as well as on tile floor grout. Specifically, soap residue, mold and other types of stains should be completely removed. Using the same strategy as you used in the kitchen, clean inside and outside of the cabinets and drawers before moving on to the vanity counter. If you have a natural stone counter, such as a granite vanity, the same special instructions apply in this space. Remember that no harsh chemical-based products should land on the counters. Therefore, take extra care with chemical-based products when you are wiping down the sinks, faucet fixtures and mirrors. Since your unit will be completely empty by this time, the remaining tasks should be minimal. Start by wiping down baseboards, window sills, built-in shelving and ceiling fans. Clean the HVAC system vents as well as the interior of your windows. Remove all cloths, trash bags and products or supplies except for the vacuum. Start vacuuming in the back rooms, such as a far bedroom. Move through the space strategically so that you finish vacuuming as close to the front door as possible. One of the last things you should do before closing your front door for the last time is to vacuum, sweep and mop your floors. From the first stages of the packing process to when you’ve handed over your keys and are ready to move into your new space, it can take a considerable amount of time and energy out of you. By following these suggestions, you can effectively pack up your apartment and move into your new space with a very small amount of stress.